Mental exhaustion caused by excessive sexual practices that deplete various neurotransmitters and neuro-hormones result in an imbalanced production of dopamine, GABA, acetylcholine, and DHEA. These molecules are crucial to several regions of the brain; the frontal lobes, cerebellum, and basal ganglia are known to be involved in motor timing, time estimation, and time management. In reality, time management is not a simple process of the mind. Many regions of the brain have to be coordinated in order to process planning and exercise conscious control over the amount of time to be spent on specific activities. This is especially important for increasing precise effectiveness, efficiency and productivity. 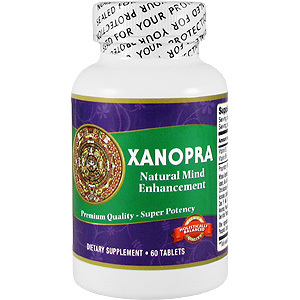 Herbs such as Ashwagandha (Withania Somnifera), Tian Ma (Gastrodia), Periwinkle, Panax Ginseng, and Cang Zhu herbal complex have active ingredients that can increase acetylcholine receptor activity and stimulate regeneration of the neural cells that are especially beneficial for brain to processing complicate task such as time management. Take one tablet in the morning and one tablet at night. Or consult your healthcare provider for optimal usage. 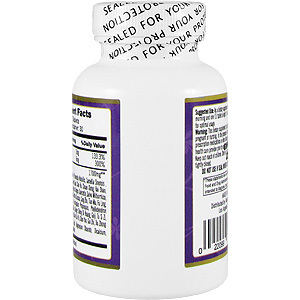 Warning: This dietary supplement is used for adult only. It is not suggested to use for pregnant or nursing women. In the presence of any health condition, or taking prescription medications or other dietary supplements, consult with a health care provider prior to use. Other Ingredients: Stearic Acid, Magnesium Stearate, Dicalcium, Phosphate, Croscarmellose Sodium. Suggested use: Take one tablet in the morning and one tablet at night. Or consult your healthcare provider for optimal usage. Keep out reach of children. Store in a dry and cool place. Keep bottle tightly closed. DO NOT USE IF SEAL UNDER CAP IS BROKEN OR MISSING. 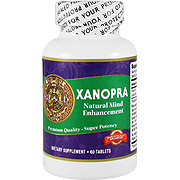 Xanopra - 60 ct is shipped in a discrete, unmarked package. Orders are processed immediately and usually takes about 3 to 5 working days to be received. We do ask that you try it for 2 to 3 weeks to feel the full effects. Any information received is used only for order processing and shipping purposes. Your information, such as e-mail address, will never be disclosed to a third party.